shares & investments, sole trader tax, businesses and more. Tax return accountants in Newcastle. Want to get the best out of your tax refund? Do you worry and hate preparing your tax return? We make tax simple. In a complex world with frequent changes in legislation our team of experienced Newcastle tax accountants help you to better understand your past and future tax implications. Don’t settle for a tax advisor that just ticks a few boxes. We help our clients with friendly clear and concise tax discussions and pro-actively make suggestions to improve your situation. Plus our tax agent services is tax deductible. Leenane Templeton are Newcastle tax return accountants that help with your individual or business tax returns. We provide tax advice to Newcastle and the surrounding areas. We don’t just tick the boxes on your tax form and send you on your way! Our tax return accountants in Newcastle have a reputation for pro-active and concise advice. Our team includes qualified tax specialists including Chartered Tax Advisors (CTA) and Chartered Tax Accountants. We help to lodge your return AND plan for future tax and to ensure you maximise opportunities on your current tax returns. Our focus is to help our clients better understand tax and to improve their tax position legally. With decades of experience and a helpful attitude we do more than just tick a few boxes, we give you peace of mind that you’re in expert hands. Registered Tax Return Accountants in Newcastle – A fully trained friendly team. Tax Experts – Specialist and ‘up to date’ experts and Chartered Tax Advisors. Easy Tax Preparation – By a company you can trust. Maximum Refund – Our mission is to get you the maximum refund. Confidence – That you’re in expert hands. Tax can be complicated even when you think your tax affairs are simple. We deal with the ATO on your behalf. The cost of our tax agent services is tax deductible. Clarity – Making tax language easy to understand. 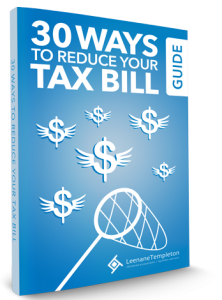 Click image to download our FREE tax guide. Meet our Chartered Tax Advisers: Joel, Margaret & Andrew. Call 02 4926 2300 today. 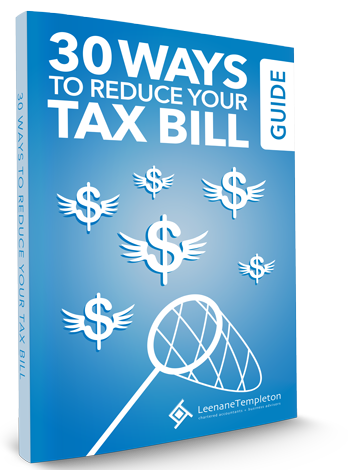 Download our FREE tax guide Below. Taxation planning is a vital element for your comprehensive financial plan. Planning your taxes carefully throughout the year helps you in achieving your set financial targets. Taxation planning should never be done in complete solitude; rather, it should be a part of your total financial goals and overall financial plan. The main objective of tax planning is often to reduce the net taxable income. To meet that objective, we look at your gross income while at the same time maximising any deductible expenses. Proper tax planning is an important component of personal financial management. Our team helps you gain a better understanding of past and future tax implications. It’s important that you keep a record of all the purchases and receipts that you have made during each financial year. Get a file and create categories that relate to the purchase and income that you hope to make during the said year. This makes computing your tax returns at the end of the year really easy and simple. Always bear in mind that tax laws can sometimes be complex and they change often. Consult our tax advisors before you make any decisions. Need More Time To Pay The ATO Your Tax? As a tax return accountant we work with the Australian Tax Office to see if we can secure extensions or payment arrangements on your behalf. You take the pain out of getting my tax done! Very friendly, knowledgeable and professional team – thank you. Absolute excellent service! Very informative, friendly and helpful. I am so glad I chose to go to Leenane Templeton and definitely will continue. I felt it was a very proactive, and positive interaction. I will be definitely returning next year. Thank you for the wonderful service. As someone who is completely clueless when it comes to tax, I am made to feel comfortable and well (enough) informed. In my two years of coming to Leenane Templeton , I have been given some great advice on how to run and grow my business. Your company makes tax time feel stress free and I have never once felt judged about my lack of financial understanding. Our connection with Leenane Templeton is some 22 years old. Your efforts on our behalf have always been more than satisfactory and we look forward to continuing the association for many years yet. They showed considerable foresight in having most of the tax form completed. We needed help with Capital Gains and this was completed in a very satisfactory manner. Highly recommended. This is the second year that I had my Tax done by Leenane Templeton. It’s very professional and took the extra time at the end of the meeting to offer some fantastic advice on buying / owning a home which I am in the process of doing. I would have no hesitation in recommending (Which I have done so already). Very helpful and knowledgeable regarding my industry and suitable deductions as well as some extra advice thrown in for the next financial year! Always a very positive experience. This is the second time I have attended your company to conduct my personal tax with no faults. Thank you for your service. Great professional service. I have referred 6 work colleagues to you guys. As always your service is second to none. Special thanks to Liam Brennan and Joel Griffiths. Positive experience; knowledgeable and took time to learn about my position, explain points to me plus how I can improve for the coming year. My anxiety from my overdue returns is completely gone. . I’m so relieved.. They made the process all very calm and easy. The experience from initial phone contact to front desk through to tax interview was relaxed & professional. Easy to understand advice & explanations – thanks! I came for specialist advice as well as tax preparation and help with structure. It was great to deal with someone who knew all the ins and outs of tax, and how to be present and prepare it. Our experience with you was painless and by that we mean we received excellent service from all staff before and during our appointment. We are happy to recommend your firm to others and look forward to another appointment. It was very reasonable and greatly informative. It is great to work with someone who knows what they are doing. I was extremely satisfied with the service and the professionalism that we received from Leenane Templeton from the first phone call exceptional. Liam prepared our returns. He was very personable and thoroughly. Just amazing, Thank you.